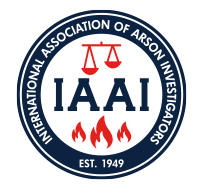 It is the position of the International Association of Arson Investigators that National Fire Protection Association (NFPA) Document 921 is widely recognized as an authoritative guide for the fire investigation profession. In addition, NFPA 921 is an important reference manual, and sets forth guidance and methodology regarding the determination of the origin and cause of fires. This Association uses NFPA 921, along with other documents including NFPA 1033, as a foundation for its training and certification programs. The statement reaffirms the IAAI's long standing recognition of the importance of NFPA 921 to the knowledge and methodology of fire investigation. "Authoritative" means the guide is an accepted source of information, and known to be accurate and reliable. By its own terms the document is not a "standard," and is subject to revision and updating on a periodic basis to allow it to remain current with the expanding scientific and technical knowledge in the fire investigation field.